At PayPal, we put people at the center of everything we do. Founded in 1998, we continue to be at the forefront of the digital payments revolution, processing almost 11.5 million payments for our customers per day. PayPal gives people better ways to connect to their money and to each other, helping them send money without sharing financial information and with the flexibility to pay using their PayPal account balances, bank accounts, PayPal Credit and credit cards. With our 162 million active digital wallets, we have created an open and secure payments ecosystem people and businesses choose to securely transact with each other online, in stores and on mobile devices. We've developed a lot of software in IBM's 100+ year history, from punch cards to core transaction processing to cognitive computing with IBM Watson. Find out more about IBM Bluemix, our newest Cloud offering, that helps you quickly and easily create, deploy, and manage enterprise-level services that can easily integrate with your cloud applications. Sign up for a free 30-day trial today! a global cloud infrastructure platform built for Internet scale. With more than 180,000 devices under management, and a global footprint of data centers and network points of presence, SoftLayer provides Infrastructure-as-a-Service to leading-edge customers ranging from Web startups to global enterprises. SoftLayer’s modular architecture provides unparalleled performance and control, with a full-featured API and sophisticated automation controlling a flexible unified platform that seamlessly spans physical and virtual devices, and a worldwide network for secure, low-latency communications. For more information, please visit softlayer.com. 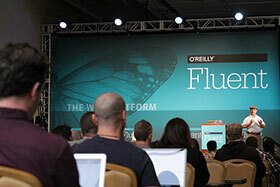 Splunk Inc. (NASDAQ: SPLK) provides the leading software platform for real-time Operational Intelligence. Splunk® software and cloud services enable organizations to search, monitor, analyze and visualize machine-generated big data coming from websites, applications, servers, networks, sensors and mobile devices. More than 8,400 enterprises, government agencies, universities and service providers in over 100 countries use Splunk software to deepen business and customer understanding, mitigate cybersecurity risk, prevent fraud, improve service performance and reduce costs. Splunk products include Splunk® Enterprise, Splunk Cloud™, Splunk Storm®, Hunk®: Splunk Analytics for Hadoop and premium Splunk Apps. To learn more, please visit http://www.splunk.com/company. We’ve been bringing people together since 2004, building apps with hundreds of millions of users. Now our experience and momentum have us primed to create the next billion-user idea. We have the luxury to experiment with the latest technology and ideas without being tied to the launch of a particular product. We’re taking multiple shots, iterating as we go.We love the apps we’ve already created (starting with our flagship, Tagged), but we’re just as excited to innovate, experiment and use our skills to explore the endless possibilities that exist in social technology. After all, isn’t that how you grow? SitePoint is a world leading publisher and community for web developers and designers. Founded by Mark Harbottle and Matt Mickiewicz, our mission is to deliver fundamental knowledge, new ideas, and emerging concepts to web professionals across the globe. For practical tutorials, articles, books, courses, our learning platform Learnable, and our Forums, if it's got anything to do with making incredible internet things -- we've got you covered. Digital is changing everything. That's why Accenture Digital helps businesses and governments re-define how they serve connected customers and operate connected enterprises. We offer complete, integrated digital business and technology services--digital marketing, mobility and analytics--to deliver tangible results for the virtual world. Learn more at www.accenture.com/digital. AppNexus is a technology company that provides trading solutions and powers marketplaces for Internet advertising. Its open, unified, and powerful programmatic platform empowers customers to more effectively buy and sell media, allowing them to innovate, differentiate, and transform their businesses. As the world's leading independent ad tech company, AppNexus is led by the pioneers of the web's original ad exchanges. Headquartered in New York City with 23 global offices, AppNexus employs more than 900 of the brightest minds in advertising and technology who believe that advertising powers the Internet. For more information, follow us at @AppNexus or visit us at careers.appnexus.com. DroneDeploy offers a cloud platform to simplify commercial drones by putting them online. This enables fully-automated workflows including planning, flight execution and post-processing, drone management from anywhere and on any device, and in-flight support from dedicated engineers. Monaca is a Japan-based HTML5 hybrid app development platform with over 80,000 users including big names like ASICS and Asahi TV. HTML5 PhoneGap hybrid app development gives web developers and designers easier access to mobile development. Monaca allows designers and web developers to take advantage of the open source PhoneGap framework to program for mobile devices, vastly simplifying the GUI and debugging. Non-programmers can get started quickly; serious programmers can take advantage of advanced features like a fast build process, live preview, and the world's best Cordova debugger. Shape Security is a startup in Mountain View, California that has created advanced technology to defend websites against attacks from malware, botnets, and scripts — the cause of the most serious breaches. Shape has raised $66M from top investors including Kleiner Perkins, Venrock, Norwest, Google Ventures, and Eric Schmidt. SurveyMonkey is the world's leading provider of web-based survey solutions, but there's really much more to us than that. We're a smart, passionate group of people who work hard to deliver the best survey experience on the planet, period. We do this because we believe everyone deserves easy access to the insights and information they need to make better, more informed decisions. We're also proud to admit that despite our incredible growth over the past 15 years, we refuse to grow up. We are still small and nimble; everyone plays an impactful role; and when we say good ideas can come from anyone, we mean it. SurveyMonkey is trusted by millions of customers, including 99% of the Fortune 500, as well as other businesses, academic institutions and organizations of all shapes and sizes. We collect 2.8 million survey responses daily from people in all countries around the world. If this sounds like home to you, and you're ready to make your work matter to millions, we'd love to meet you. The database is the heart of most applications, but it’s also the part that’s hardest to scale, manage, and optimize even as it’s growing 50% year over year. VividCortex has developed a suite of unique technologies that significantly eases this pain for the entire IT department. Unlike traditional monitoring, we measure and analyze the system’s work and resource consumption. This leads directly to better performance for IT as a whole, at reduced cost and effort. XCHOP.com is a leading psd conversion service provider, specialized in PSD to Responsive, HTML, HTML5, Email and MOBILE. Our expertise also includes open source CMS conversion like Wordpress / Joomla / Magento / Drupal /OpenCart / Shopify and PrestaShop. Every PSD conversion order is handled in a highly professional manner. We follow a streamlined procedure to expedite orders in time. All conversions are subjected to stringent quality control before submission, to ensure error free conversion. Xhtmlchop is an ISO 9001 certified company with over 300 full-time developers and has catered to over 8000 customers worldwide. We are known for our award-winning customer service, quick turnaround and high quality coding at affordable prices. Inspired by the proven designs of native platforms, Montage Studio pairs MontageJS, a sophisticated, open-source HTML5 Framework with a dedicated, cloud-based, Responsive App Workstation: Complex projects are split into simple components implemented in parallel. Web designers focus on standard HTML and CSS while developers implement interaction and application logic. Changes made to the project are visible in real time, simultaneously, on cloud-connected devices. Responsive applications need responsive tools. As the first true web-native platform, Montage Studio enables your team to work faster together, iterate quickly, and craft high-performance, responsive applications that exceed user expectations, and drive cross-screen engagement. Denver Code Club is the perfect meetup for folks that love learning to code on their own, but would like to meet with others to help push them along. Everyone is welcome at Denver Code Club; whether you're a complete novice or an experienced developer looking to further your skills, we all have one thing in common: writing code. The HTML5 meetup group of Sacramento is a community of front-end developers, designers, and artists that come together to meet one another, learn, share, and work on projects. With such a rapidly evolving web, it's easy to get lost in technology. But together we can navigate through the noise to push our web developer community, and the web, forward! Join us and lets build, design, code! Linux Journal is the premier Linux magazine, dedicated to serving the Linux community and promoting the use of Linux world-wide. A monthly periodical, Linux Journal was founded in 1994 and is currently celebrating its twenty second year of publication. NodeBB is a next-generation forum built upon the latest in web technology and trends. Our platform combines mobile-friendly responsive design, real-time communication, and modern technology to bring an all-in-one community experience unparalleled by any forum solution to date. Visit our website at https://nodebb.org, or our community forum at https://community.nodebb.org. For consultation and customised NodeBB development inquiries, please email sales@nodebb.org. Southern California Web Designers and Developers (SCWDD.org) gathers web designers, developers, and other people who work on creating a better Internet via web technology and the design process.